In this world full of negative news, here's something bright and inspirational which will bring a smile to your face. According to a recent survey, 1 in every 700 babies born suffers from Down Syndrome. It is a genetic disorder which affects the intellectual and overall development of an individual. Babies born with Downs are believed to have a lower life expectancy. And even though medical aid is available, the condition can't be cured. Due to the same reason, many parents with these special babies prefer to keep their kids close to them by homeschooling them and not letting them go out to work as they fear their dear ones will be judged. Russell O' Grady is a man who broke through the chains of usual thinking, stepped out to work and became an inspiration for us all. Russell began working at Northmead McDonald's in Sydney in 1986. At that time, hardly anyone with disabilities was employed but Russell wished to change the stereotype which clouds the talents and potential of special people with special needs and well, he did succeed! Now 50-year-old Russell has retired from his post, after serving smiles and spreading happiness for 32 years. 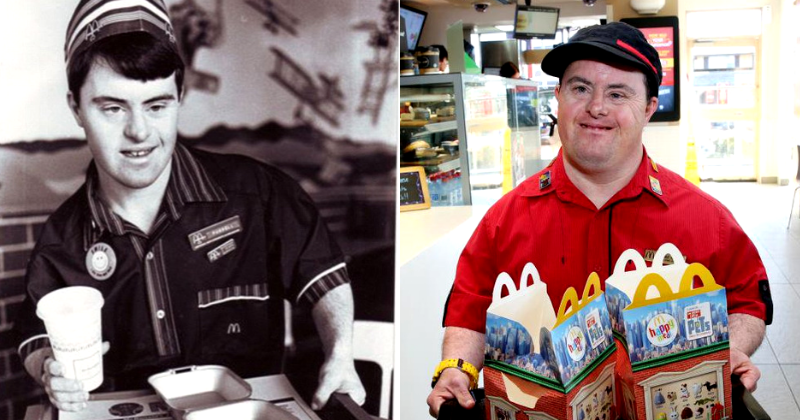 At 18 years old Russell O' Grady had little to no work experience but he was hired by McDonald's to begin his career and Russell didn't disappoint at all! The staff was extremely impressed by his work and his dedication to keeping on working. 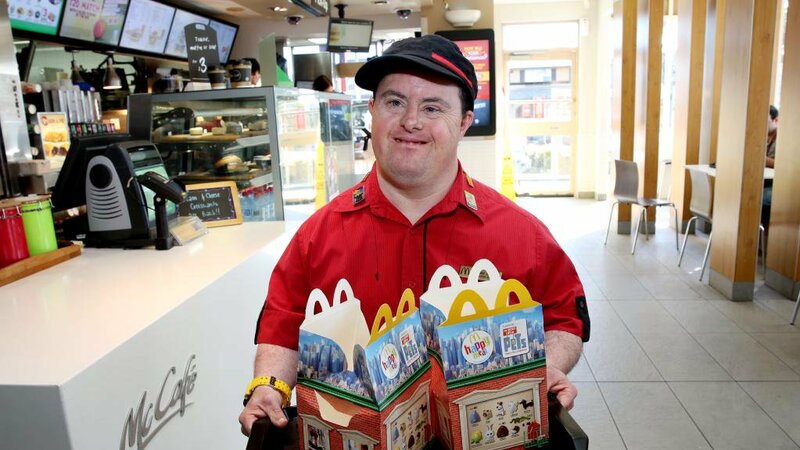 Russel started out by packing party boxes for McDonald's but soon he was handed out other tasks as well. Russell O' Grady impressed everyone with his strong work ethics. Not just that, according to The Telegraph, Russell made such an impact on the customers that many people came to the restaurant to just meet and talk to him. Russell O' Grady is often described as the ‘best-known person in Northmead’ by the people. The man turned into a local celebrity due to his kind and friendly nature. Russell would greet customers on his shift with a smile as he cleaned and swept up. 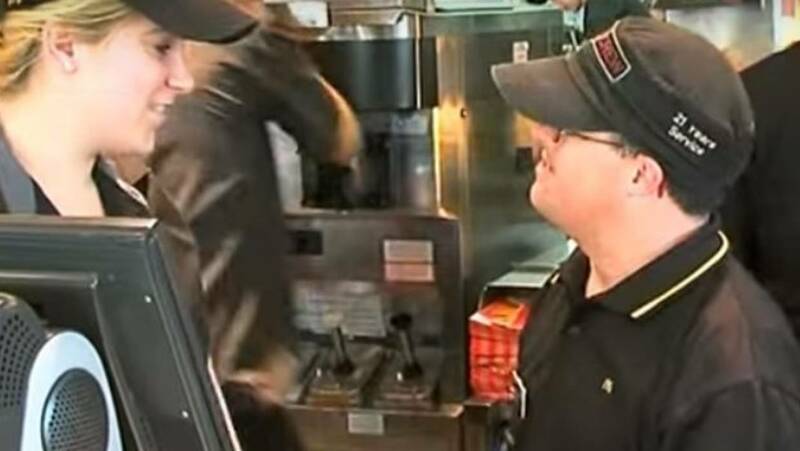 "We’ve got regular customers who come in to see Russell on Thursday and Friday, and the staff look after him, so we’re going to miss him," said McDonald’s supervisor Courtney Purcell. Russell's younger brother admitted that he's proud of his brother and he looks up to him. "He’s kind of blase about it but loves his work very much. He’s pretty cheeky sometimes. He’s my big brother and he keeps me in line," said Lindsey. 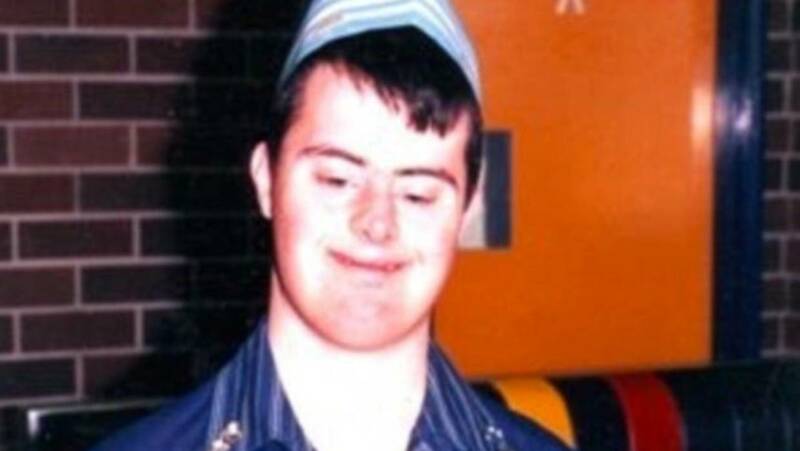 Russell got his job through JobSupport, a platform which provides training and employment to people with moderate intellectual disabilities in areas of Sydney and Melbourne. "(Our mission is)To place, train and maintain as many people with a significant intellectual disability as possible into quality jobs in the regular workforce that meet both their employment needs and the needs of the employer... Jobsupport works with each employer and the person with an intellectual disability to customize a job that meets a genuine need for the employer and the person with an intellectual disability," reads their website. 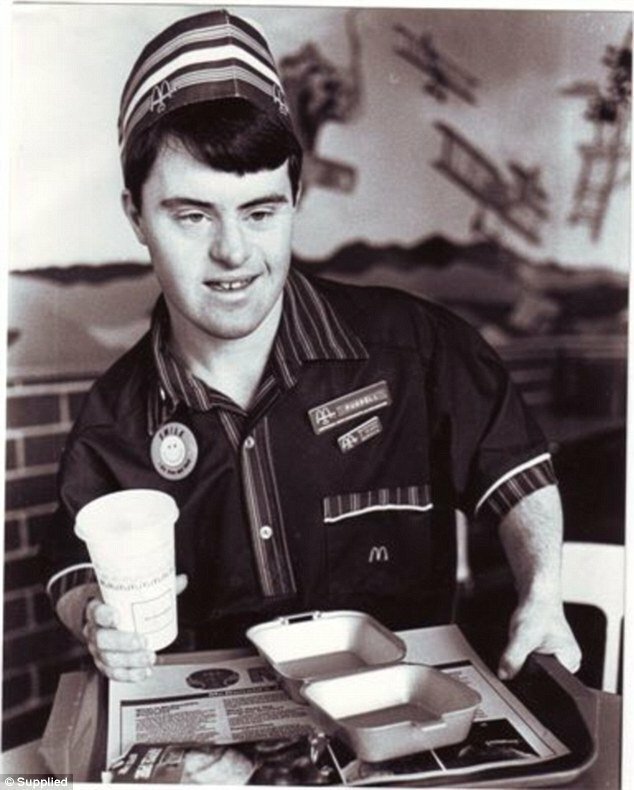 "Without that initiative, lots of people like Russell wouldn’t have the jobs they do today and they wouldn’t have the reward that gives them, which is pride, a boost of their self-esteem, and feeling important and belonging in society," said Russell's father, thanking McDonald's and Job Support. "It gives them a reason to be." 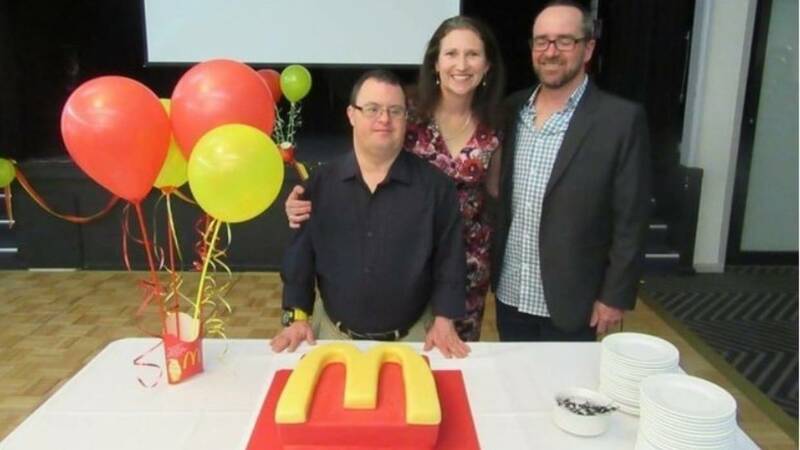 In 2016, all the employees of McDonald's threw a party on the occasion of Russell completing 30 years of employment. So sweet! Russell has wished to retire now to focus on his health. Happy retirement, superhero!